Every pre-measured ingredient to make recipes from great online cooks - delivered to your door, subscription free. We deliver 4 days a week and our boxes start at just £4 per portion. Just order whichever meal kits you want, when you want them. ...or just use our easy to follow recipe cards that come in your box. 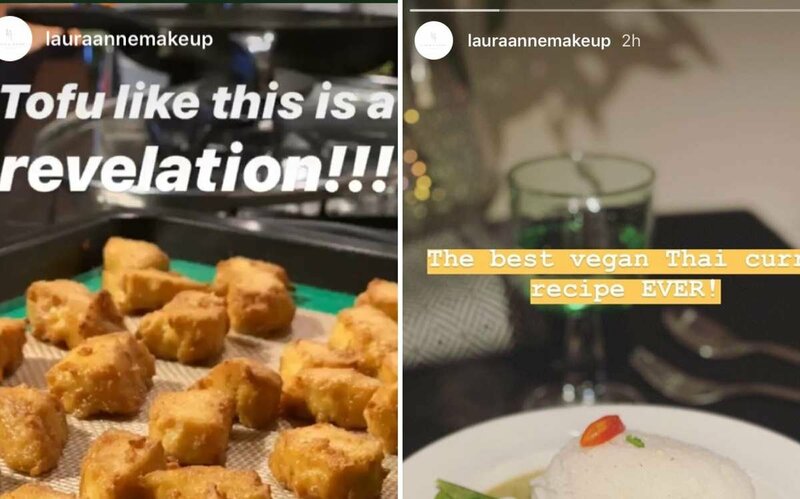 Recreating your favourite online cooks' recipes has never been easier. Just a few of our latest recipes. What takes your fancy? 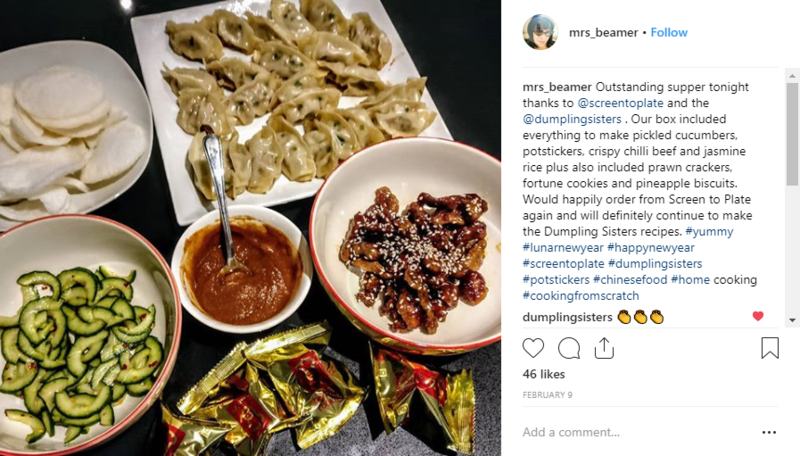 "Outstanding supper tonight thanks to @screentoplate and the @dumplingsisters ... Would happily order from Screen to Plate again." "Another fabulous dish... my house still smells fantastic!" "Oh... My... Gawd. This was absolutely delicious. Even the meat-eater boyfriend said 'It's like in the restaurants!" 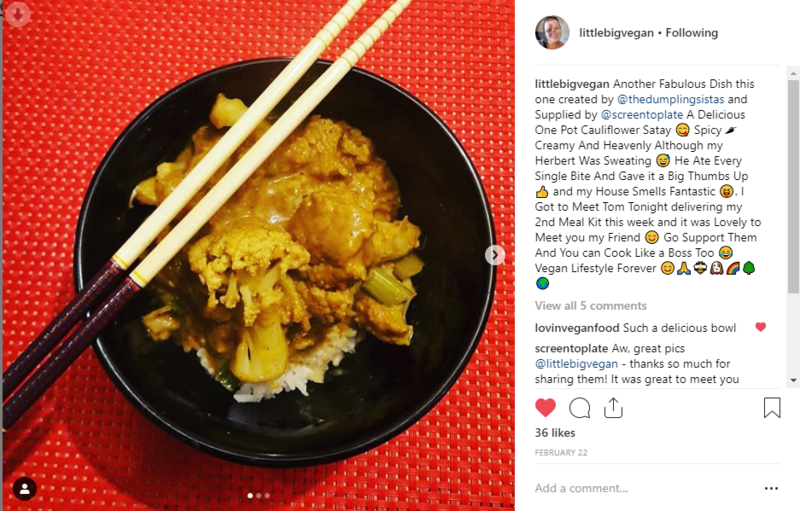 Customer focused with NO SUBSCRIPTIONS - buy as many, or as few, recipes as suits you. Mix and match between different recipe creators and even between 2 and 4 person recipes. Delivering 4 days a week (Tuesday to Friday) on just 2 days' notice.